APRIL IS A SPECIAL TIME for Thais. It marks the Thai New Year, celebrated with the water-throwing Songkran Festival, one of the most magical events in the Thai calendar. This year’s Songkran Festival runs from April 13-15. The national holiday is celebrated on April 12. The New Year celebrations celebrate the beginning of the new solar year and is known for its water-splashing street parties that symbolize cleansing and purification as well as ceremonies and rituals to convey love and friendship with each other. 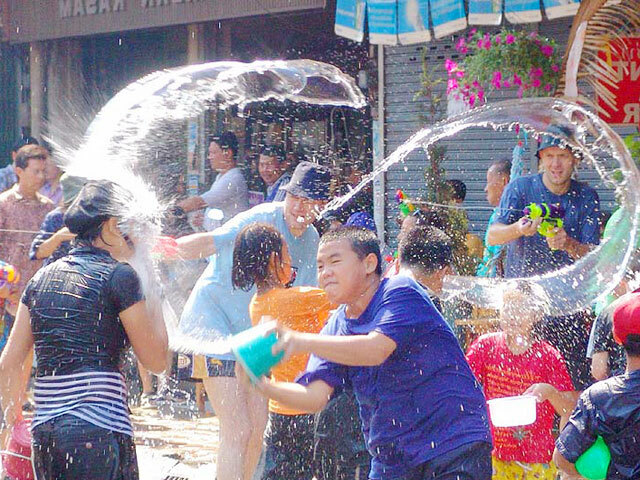 Songkran stems from ancient Thai traditions expressed through culture-rich ceremonies and rituals that reflect both the essence of “Thainess”, as well as local beliefs and practices. Traditionally, the Songkran Festival portrays the typical ways of life of Thais involving agricultural aspects. Younger Thais pay respect to their elders by sprinkling their hands with scented water. The celebration also includes colorful local entertainment. The unique regions of Thailand each celebrate the festival in different ways. The Lanna community in the North uses the occasion to clean up houses and dress in new clothes.